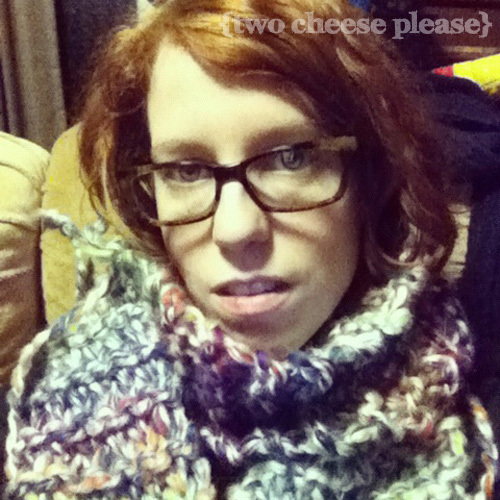 4 Responses to I did knitting! yay! i haven’t tried knitting. it looks tricky and not fun, although i’m certain it is once you learn to be good at it. 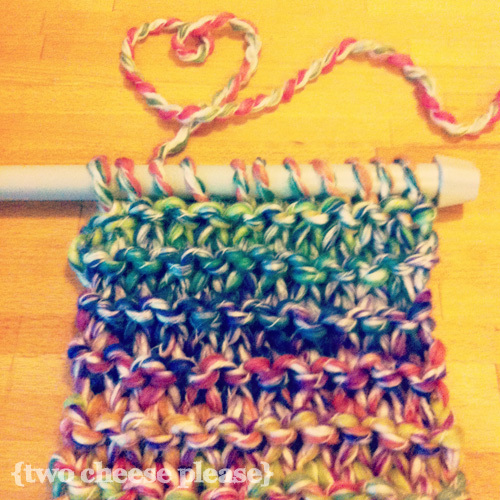 i’m loving the yarn you chose, your scarf looks awesome! Knitting IS tricky, but it’s also fun! It’s like taking a big, yarny leap of faith with nothing but two pointy sticks to help you fly, ha ha! Yah! 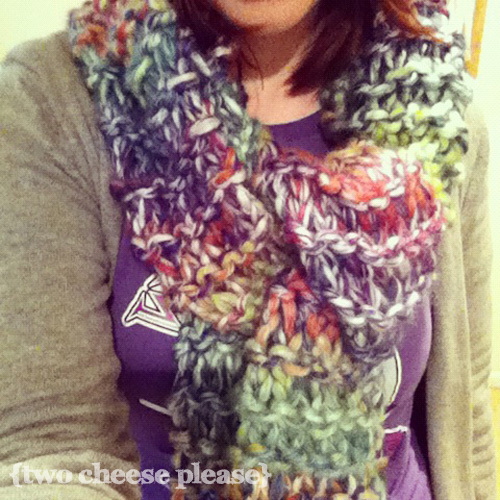 You’re a whole scarf and a start of a beanie ahead of me in the sock making dream. I do have a feel I will never ever ever knit (or perhaps even crochet) a sock in my whole life. I would like to, but it probably won’t happen. Maybe when I’m old and wrinkly…? 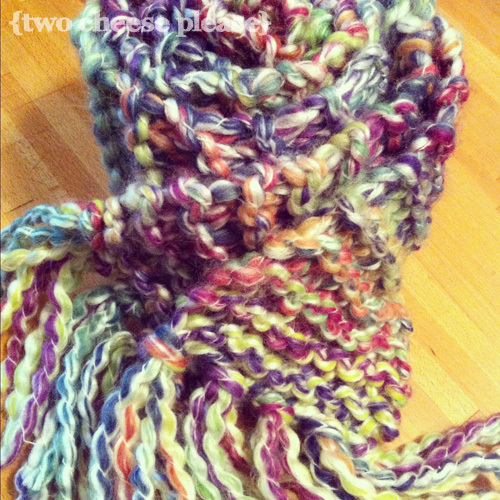 Love your rainbow knit 8, turn, knit 8 scarf. Ellie, I am the most uncoordinated person in the world and if I can learn how to knit (albeit slowly!) then I know you can do it! I think that should be your goal for ‘by the end of 2012′ – learn to knit. 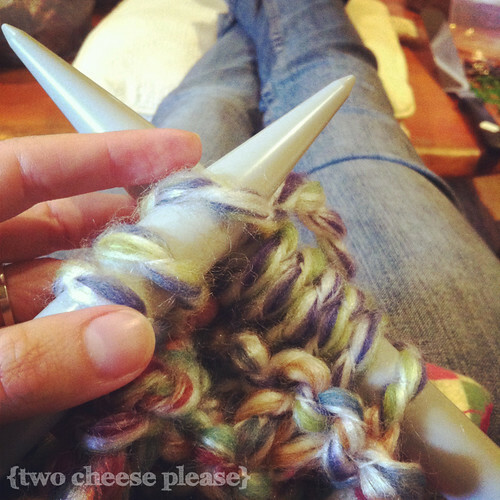 My knitting goal is to attempt socks by the end of 2012 – whether they’ll be wearable socks is another matter entirely!